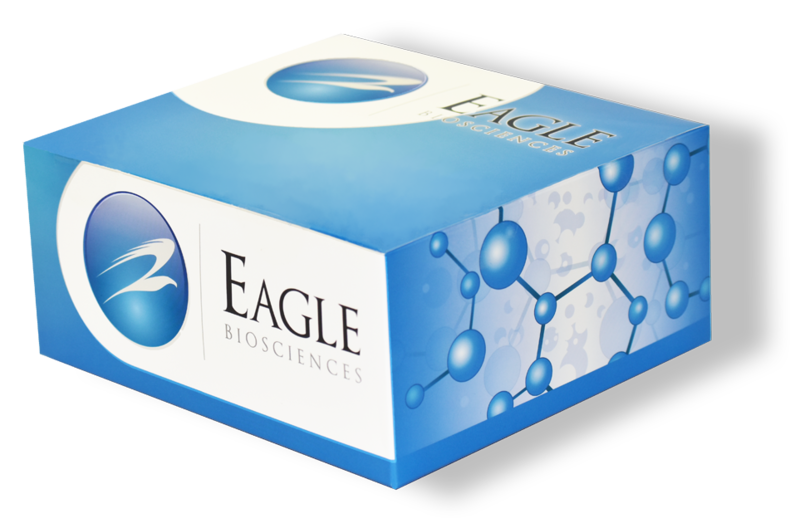 The Eagle Biosciences Aflatoxin M1 Immunoaffinity Column provides total determination in food and feed focuses on the enrichment step of extract using immunoaffinity column (Immunoaffinity Chromotography (IAC)) in combination with quantification with HPLC (High Performance Liquid Chromotography). The Aflatoxin M1 Immunoaffinity Column is for research use only and not for use in diagnostic procedures. This Eagle Biosciences Aflatoxin M1 Immunoaffinity Column is for the clean-up of milk and milk products containing Aflatoxin M1. Immunoaffinity chromatography stands for an efficient enrichment process of aflatoxins with concomitant effective separation from matrix components. The eluate is best suited for determination by HPLC. By varying washing process, that means exchange PBS buffer with 0.2M ammonium acetate solution, GC can also be applied. According to the method of Shundo et al.1 the milk to be tested is first centrifuged by 1540g for 15 minutes. The cream is then separated using e.g. a separation funnel. If separation is incomplete, the milk sample should be filtered to avoid that remaining fatty particles block the column in next step below. 50ml skimmed milk are diluted with 5ml 10X PBS (= 10fold concentrated 50mM PBS buffer) and then applied in a reservoir on top of the B-TeZ IAC Aflatoxin M1 3ml column. Rate of flow through the affinity gel is 1 to 3 ml/min. Depending on application and on expected contents, larger or smaller extract aliquots can be applied. In such cases the sample calculation (see below) must be adapted. If samples are to be prepared simultaneously, manifold of J.T. Baker for 12 samples has proven of value. Sample reservoir on top of the B-TeZ IAC Aflatoxin M1 3ml column is removed and a appropriate vial is placed below the affinity column. The bound toxins are eluted by using a total of 1.5ml of methanol as elution solvent. The elution process is performed in two steps to ensure complete release of analytes. First, a volume of 0.5ml elution solvent is applied. After that volume has passed through column half a minute is waited before the second portion of 1ml of elutions solvent is eluted through the column. Remaining solvent solutions should be eluted by application of slight under or overpressure. All methanolic fractions are unified to give the column eluate. The column elute may be injected into the HPLC directly or in case concentrations are low it may be concentrated by evaporation (e.g. using VLM evaporater at 50°C under a permanent stream of nitrogen). Caution: If you follow concentration by evaporation, add 100 l of acetic acid/water (50/50 v/v) as keeper. To avoid loss of analytes, stop concentration at a small volume of residue, e.g. 50 to 100 l.
The residue then is redissolved in HPLC solvent, e.g. in 400 l in example calculation see below, and an aliquot is finally injected into the system.